"Grow the player, grow the league, grow the game"
Intermountain Lacrosse is a 501 (c)3 non-profit organization dedicated to the organization and administration of lacrosse leagues in Utah. The Utah Lacrosse Association established in the fall of 1994 by Mason Goodhand instituting the first, and only, organized lacrosse league in the state of Utah with the inaugural boys Utah High School Lacrosse League season. Since 1994 the ULA and lacrosse have been rapidly growing and improving now offering a variety of lacrosse opportunities to both males and females, of all ages from St. George to Cache Valley Utah. Shortly after the conception of the National Governing Organization for lacrosse (US Lacrosse) in 1996 the ULA was adopted as a regional chapter of US Lacrosse. With that adoption the ULA in trying to stay as consistent with the goals and principals of US Lacrosse felt it was in the best interest to create two separate entities - Intermountain Lacrosse (IMLAX) focused on league administration, and the Utah Chapter of US Lacrosse (ULA). Although two separate and distinct organizations both the ULA and IMLAX are a volunteer-driven not for profit lacrosse organizations focused on promoting and supporting the growth of lacrosse in Utah. IMLAX merged with the Greater Utah Lacrosse League (GULL) in early 2017 and is best depicted as a conglomerate of lacrosse leagues in the state of Utah. In which each league operates as governed by its own respective volunteer council, by upholding their league specific policies and bylaws and then organized and administrated by the IML staff. 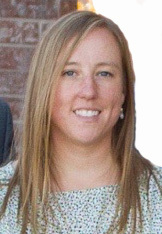 Niki started working at the Utah Lacrosse Association in 2005. With the help of many volunteers, Niki started out administrating girls lacrosse and is now the program director at Intermountain Lacrosse. Niki attended both the University of Utah and BYU with degrees in Exercise and Sports Science and a Masters in Public Administration. Niki has been coaching lacrosse in Utah for 20 years now and has coached youth to college-aged girls. She is currently the Head Coach at Westminster College, the first NCAA women's lacrosse team in Utah. Collin is one of Utah's own. He grew up playing in the ULA youth leagues, played high school lacrosse for Olympus High School in Salt Lake City, and went on to play for 3 seasons at Westminster College after his freshman year at NCAA Division II Dominican College in New York State. Collin graduated from Westminster College with a degree in Political Studies in December of 2014, and has continued his dedication to the sport now as an administrator and coach. Collin joined the IMLAX staff in December of 2014 as both the boy's youth and high school league coordinator. When he is not fully immersed in additional lacrosse activities outside of the office, he enjoys taking advantage of Utah's great outdoors! : fishing, hiking, climbing, and skiing to name of few. Maddie is originally from the East coast, New Jersey born and raised. Grew up playing Lacrosse for Princeton Day School as a goalie. After attending the University of Vermont, she returned to Princeton day school as a teacher, and worked as a coach with the PYLO, Princeton youth Lacrosse Org, as a youth coach. After a visit to Park City in 2014 for the winter activities, she quickly moved out to Utah permanently where she began coaching the Park City High School JV team. Maddie began working with IMLax and the Girls HS League in August 2015. While we all eat, sleep and breathe lacrosse here in the office, in the non-lacrosse time she enjoys snowboarding, camping, biking, and reading! Marty has been involved in nearly every aspect of lacrosse in the Utah. 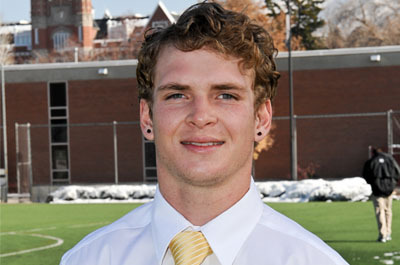 Orignally from Colorado, he played college lacrosse at BYU and was the first All-Conference player to ever be recognized from BYU. He has coached at the college level at both BYU and Utah. He coached both Bountiful High and Olympus High Schools. He has been in involved at the club level locally with Advantage Lacrosse, Utah Elite, Team 6, and 801 Tribe; as well as, nationally with West Coast Starz and the Stripling Warriors. He has served as an adminstrator with the UHSLL and IMLAX. He was one of the principal founders of the Greater Utah Lacrosse League (GULL). He has been a force for progressive change in lacrosse in Utah since 1987. Marty is married to the lovely Gina, and they have four children: Melanie Carpenter (Christopher), Chandler, McKay, and Taya.